The Telegraph top 10 baking courses. We were really delighted to have been included in the feature on the top 10 baking courses in the UK this Easter. My food hero Diana Henry came for the Day, and wrote “Kimbell demystifies the process with inimitable humour and sends you home with a starter, flour and a banneton in which to prove your bread. Forty-eight hours later my first sourdough loaf came out of the oven. And that was just the beginning. Kimbell’s ‘after-care’ is five-star. You become part of her Sourdough Club (with access to advice and recipes) and can send her pictures of your loaves – crumb as well as crust – until you get it right. These aren’t just courses; Kimbell wants to change the bread we eat, one loaf at a time. Sourdough baking is a journey. Book your passage. ” The Telegraph. So as you can all imagine .. I’ve been smiling all week. 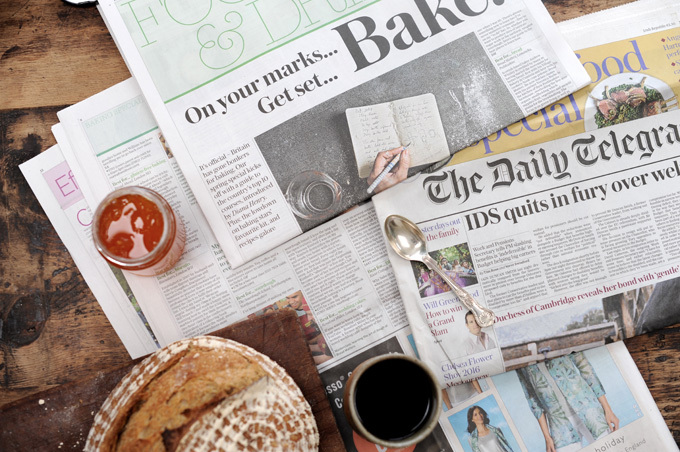 Share the post "We were included in The Telegraph top 10 baking courses in the UK"